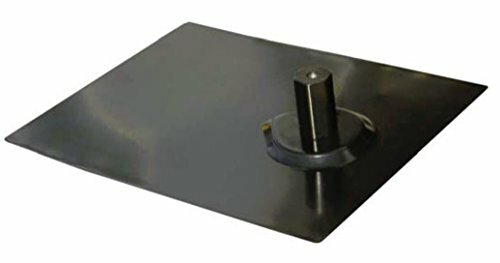 The Sunmodo K10070-BK2 is an EZ mount roof kit with a 2" aluminum standoff for shingled roofs. The kit exceeds the competition in quality, reliability and price. Not only is it easy to install but it is water tight and durable when used with any composite shingle roof. The included flashing is designed to redirect water flow while an aluminum shoe allows for multiple configurations. The kit includes all necessary mounting hardware and comes in a black finish. Sunmodo Corporation a Washington based solar panel mounting company, was formed with the mission of providing the best value solar racking and mounting solutions for solar power systems. Sunmodo has quickly become known as the high quality provider of cost effective solar mounting products and its products are known for their quality, ease of installation, and affordability. Founded by highly skilled engineers, Sunmodo offers innovative solar panel mounting solutions to residential solar system contractors, commercial installers, industrial system integrators, and PV distributors. Since its inception, Sunmodo has primarily sold its products, including its Patented EZ Roof Mount product lines, into the marketplace through direct sales, word of mouth endorsements, and by responding to project bid solicitation. In addition, Sunmodo offers complete service that includes custom solar photovoltaic system design and documentations for code compliance. If you have any questions about this product by Sunmodo, contact us by completing and submitting the form below. If you are looking for a specif part number, please include it with your message.